Aquatic Birds. Rwanda 1975. SG 660-667. Rwanda 1967. SG 200-205. Hydro-electric project. Rwanda 1934 Pictorials Early Issue Fine Mint Hinged Value 1.50F. 247930, . Rwanda 1931 Pictorial Early Issue Fine Mint Hinged Value 50c. 247967, . Rwanda 1942 Pictorials Early Issue Fine Mint Hinged Value 10c. 247933, . Rwanda 1931 Pictorials Early Issue Fine Mint Hinged Value 3.25F. 247924, . Rwanda 1942 Pictorials Early Issue Fine Mint Hinged Value 30c. 247937, . Rwanda 1941 Early Issue Fine Mint Hinged Value 1.75F. Optd 247901, . Rwanda 1966. World Cup Football. 15th Anniv Revolution. Rwanda 1974. Cat £20-00. Rwanda 1931 Pictorials Early Issue Fine Mint Hinged Value 5c. 247912, . Rwanda 1931 Pictorials Early Issue Fine Mint Hinged Value 75c. 247916, . Rwanda 1931 Pictorials Early Issue Fine Mint Hinged Value 50c. 247917, . Rwanda 1931 Issue Fine Mint Hinged Value 2F. Surcharged 247963, . 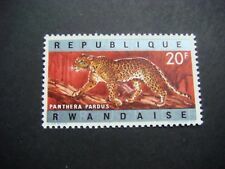 Rwanda 1943 Postage Due Early Issue Fine Mint Hinged Value 20c. Optd 247954, . Rwanda 1953 Flowers Early Issue Fine Mint Hinged Value 6.50F. 248035, . 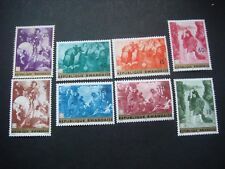 Rwanda 1942 Pictorials Early Issue Fine Mint Hinged Value 5c. 247932, . 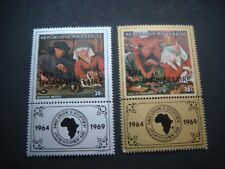 Rwanda 1942 Pictorials Early Issue Fine Mint Hinged Value 15c. 247934, . Rwanda 1942 Pictorials Early Issue Fine Mint Hinged Value 25c. 247936, . Rwanda 1931 Pictorials Early Issue Fine Mint Hinged Value 15c. 247913, . Rwanda 1931 Pictorials Early Issue Fine Mint Hinged Value 40c. 247915, . 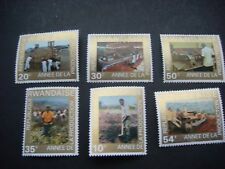 Rwanda 1942 Pictorials Early Issue Fine Mint Hinged Value 50c. 247938, . Rwanda 1953 Flowers Early Issue Fine Mint Hinged Value 8F. 248036, . Rwanda 1931 Issue Fine Mint Hinged Value 1.25F. Surcharged 247958, . Rwanda 1931 Pictorials Early Issue Fine Mint Hinged Value 10c. 247911, . 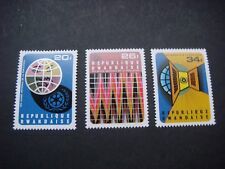 Rwanda 1942 Pictorials Early Issue Fine Mint Hinged Value 20c. 247935, . Rwanda 1936 Pictorials Early Issue Fine Mint Hinged Value 1.50F. 247931, . Rwanda 1936 Pictorials Early Issue Fine Mint Hinged Value 1.25F. 247929, . 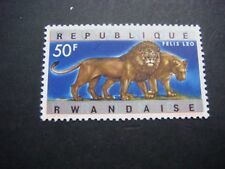 Rwanda 1943 Postage Due Early Issue Fine Mint Hinged Value 50c. Optd 247955, . Of your material. IMPORTANT UPDATE! 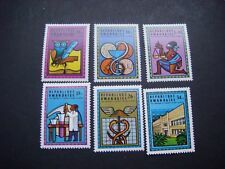 (32) DIFFERENT MH ISSUES OF 1960's & 70's .